The green economy is continuing to provide one of the major economic bright spots for the UK, according to new figures from the Office of National Statistics that show the growth rate for low carbon and renewable energy (LCRE) sectors stood at almost treble that of the wider economy during 2016. The latest official LCRE data out today confirms green sectors grew by five per cent to £42.6bn in 2016, up from £40.5bn in 2015. In contrast, overall GDP growth for the year stood at just 1.8 per cent. Employment across the green economy also rose, climbing 3.3 per cent to 208,000 full-time equivalents (FTE). The sector accounted for around one per cent of total UK non-financial turnover and around one per cent of total UK non-financial employees. The report suggests a marked improvement across the sector, after last year's ONS figures revealed a slight fall in green industry revenues during 2015. The ONS report is based on a survey of around 14,000 businesses spread across 17 sectors, including energy efficient products, nuclear, low emission vehicles and infrastructure, and a wide range of renewable energy technologies. The analysis of LCRE controversially replaced the government's previous efforts to quantify the green economy by measuring Low Carbon and Environmental Goods and Services (LCEGS), which included a much wider range of sectors and as such put the value of the green economy at £122bn in 2013, employing 460,000 people. The ONS today again stressed that its new figures were based on survey responses and as such needed to be regarded as "indicative only". "In general, changes in the estimates reported in this statistical bulletin between 2015 and 2016 are not usually greater than the level that is explainable by sampling variability," the report states. "This means that movements in the estimates should be treated as indicative only. All estimates are reported at current prices so no adjustments have been made to account for the effects of inflation. "Activity in the low carbon and renewable energy (LCRE) economy is spread across a wide range of industries. Many sectors are small but growing and for many businesses LCRE activity is secondary rather than primary. For this reason, estimates of the number of businesses are subject to particular volatility and though provided in the datasets, are not directly considered within this statistical bulletin." However, the results are still likely to be broadly welcomed by green businesses, as they provide further confirmation of the sector's ability to outperform the wider economy - a fact that has been seized on by the government in its new Clean Growth Strategy and Industrial Strategy. The Clean Growth Strategy, which was published last autumn, predicts the low carbon economy could grow 11 per cent a year between 2015 and 2030, four times faster than the projected growth of the economy as a whole. Writing at the time, Business Secretary Greg Clark said "the opportunity for people and business across the country is huge". "This is spread across a large number of sectors: from low cost, low carbon power generators to more efficient farms; from innovators creating better batteries to the factories putting them in less polluting cars; from builders improving our homes so they are cheaper to run to helping businesses become more productive," he added. The ONS report also highlights some of the stronger performing segments and regions within LCRE industries. For example, the energy efficient product group accounted for almost half of total LCRE revenues in 2016, reaching £20.7bn. Meanwhile, Scotland and Wales outperformed the rest of the UK with total LCRE revenues rising 7.7 per cent and 37.4 per cent respectively. In contrast, growth in England reached just 2.8 per cent and Northern Ireland recorded four per cent growth. In addition, the figures highlight those parts of the sector that have been hit hardest by government policy changes. The survey suggests turnover in the solar sector plummeted from £3.1bn in 2015 to £2bn in 2016. Similarly, revenues and employment across a range of sectors, such as renewable heat, hydropower, low carbon financial and advisory sources, and carbon capture and storage account for only a fraction of the market. The report also confirms the sector's trade balance emulates the wider UK economy's reliance on imports. UK LCRE imports soared 38.6 per cent in 2016 to more than £6bn, while exports rose just 1.4 per cent to £3.7bn. Greenpeace UK senior energy campaigner, Emma Gibson, said the figures are "a clear reminder that our clean energy industry is one of the most thriving sectors of the UK economy, giving jobs to thousands of people and attracting billions in investment". But she argued that they also highlighted the "missed opportunity" that had resulted from government policy changes in recent years. "[The figures] also lay bare the damage done to the solar and onshore wind sectors by government cuts and policy confusion," she added. "Since these are the cheapest energy sources in the UK, this is a missed opportunity not just to boost job creation but also to keep bills down. Instead of supporting a tottering and unpopular fracking industry that hasn't delivered and may never, ministers should consider giving their full backing to a renewable sector already bringing jobs and investment to Britain." On Jan. 29, the U.K. Department for Business, Energy and Industrial Strategy released its response to a consultation on proposed amendments to the Non-domestic Renewable Heat Incentive, confirming its intention to restrict certain types of fuel drying that are supported under the RHI. According to the BEIS, it does not intend to remove all drying practices as eligible heat uses. However, the government said it will remove wood-fuel drying as an eligible heat use, other than where the renewable heat installation is replacing a fossil fuel heat source. A transition period will allow wood-fuel drying plants that are in development to be accredited. In addition, the government is removing the drying, cleaning or processes of waste as an eligible use and is further tightening the RHI rules in relation to the eligibility of swimming pools and single non-domestic properties. The consultation was open from Sept. 5 through Oct. 31. The BEIS said it received 115 responses to its proposals related to eligible heat use reforms. The BEIS also noted that decisions on other proposals made in the consultation will be published later this year. The U.K. Renewable Energy Association has noted that the amendments will benefit many responsible companies, but cautioned that there is a need to ensure that innovative companies will not be punished. “We welcome the principle of limiting eligible heat uses to ensure the scheme is used responsibly,” said Frank Aaskov, policy analyst at the REA and Wood Heat Association. “The central goal of the RHI is to drive down emissions from the heating sector in a cost effective manner, and we must not be lost sight of that. The RHI is a complex scheme and the new rules will need to be tested and be open to change to ensure innovative companies aren’t being punished. “While there are positive aspects of this consultation this change could be a backwards step for the circular and bio-economies,” Zennaro continued. Additional information is available on the BEIS website. Covanta’s Rookery South Energy Recovery Facility, a waste-to-energy project in the UK has secured an environmental permit by the UK Environment Agency (EA). Issuance of the permit follows a detailed review and consultation process by the EA. The Rookery project, located in Bedfordshire, UK, will convert over 500,000 tonnes of residual waste per year into approximately 60 megawatts of low carbon energy - enough electricity to meet the needs of 75,000 homes. Site preparation work has begun with full construction anticipated to follow by mid-2018, in conjunction with financial close. The project is expected to be fully operational in 2021. Covanta executive vice president and corporate development head Matthew Mulcahy said: “Receipt of the environmental permit represents one of the final hurdles before we move into full construction of the Rookery project. "The facility represents critical waste infrastructure that will help the U.K. achieve national recovery, recycling and renewable energy targets. We are pleased with the progress we have made to reach this point and look forward to bringing this project to completion." In late 2017, Covanta announced a development agreement with the Green Investment Group to develop new Energy-from-Waste projects in the UK and Ireland. The Rookery facility would be the first in the joint pipeline of UK projects. Earlier this week, I introduced to the Scottish Parliament plans to reform the Scottish Crown Estate, and give local communities the opportunity of more control over assets in their area. This will include opportunities for councils and local communities to directly manage the Crown Estate assets in Scotland. These assets have a total capital value of £275.7 million – generating approximately £15 million of gross annual revenues. As you may be aware, the Scottish Crown Estate includes a diverse range of assets that influence many aspects of rural and coastal life in Scotland. The estate includes thousands of hectares of rural land, mining rights, urban property and half of Scotland’s foreshore. The estate also includes leasing rights to the seabed out to 200 nautical miles for nationally important infrastructure such as telecommunication cables and oil and gas pipelines, as well as for activities such as renewable energy. This is a significant moment for Scotland as it is the first ever legislation on the Scottish Crown Estate. For many years there had been calls for the Scottish Crown Estate to be devolved and that became a reality in April last year, when Scottish ministers secured devolution of management of the Scottish Crown Estate under the Smith Commission. The result is that for the first time in the modern era the Scottish Parliament can legislate on management of the Scottish Crown Estate, including opening up the possibility of local councils and communities taking control over the management of assets. I am pleased that some local councils and communities have already expressed just such an interest in taking control of some assets and I look forward to working with them to make these ambitions a reality, where possible. Following extensive consultation last year that looked at a number of options to reform the framework of the Crown Estate in Scotland, the Scottish Crown Estate Bill proposes reforms to enable management of the estate assets in a way that can better contribute to wider social wellbeing, economic development and the environment while maintaining the estate’s overall value. It will also make it possible for the first time to change who manages individual assets. 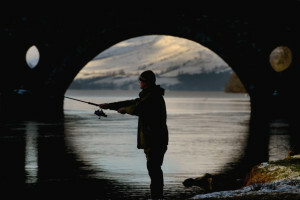 For example, under these reforms a council or local community could seek to obtain management rights over their local foreshore or manage salmon fishing rights on particular stretches of Scotland’s rivers. It is clear, however, that a “one size fits all” approach is simply not practical for such a diverse range of assets. I therefore want it to be possible, on a case-by-case basis, for local communities as well as councils to manage individual assets while recognising that some assets may need to continue being managed at the national level. Change needs to be handled carefully and sensitively to ensure uncertainty for staff is minimised and tenants and other customers can continue to receive a high standard of service. Importantly, the Crown Estate in Scotland will continue its excellent work in managing the estate across the country, creating prosperity for Scotland and its communities. My intention is for the proposed reforms to happen within a national framework that ensures assets can continue to be well maintained, while enabling management in a way that reflects local priorities. The reforms have been designed to create significant opportunities for Scotland while also protecting the Crown’s interests in these areas. I look forward to healthy debate about how we best promote and inform decisions on managing assets while ensuring that benefits for communities and the country as a whole, are maximised. At the same time high standards of openness and accountability are key which is why I have put these principles at the very heart of this important Bill. Is Europe really on track for low-emission mobility? To fulfil its Paris agreement commitments, Europe needs swift, radical action. While many sectors have made substantial progress in recent years, transport and mobility are among the more challenging obstacles on Europe’s path to a low-emission economy. The EU is growing and so is our traffic. Between 1990 and 2013, the population of the 28 member states increased by 30 million people. The number of cars increased by 84 million. As the demand for transport has grown, so too have fuel consumption and greenhouse gas emissions. Since 1990 the only sector that hasn’t cut its greenhouse gas emissions is transport. Rising traffic density is consuming all progress made through fuel and vehicle efficiency. Emissions from the transport sector have increased by 28 per cent since 1990. It is the source of one quarter of all greenhouse gas emissions in Europe and the main reason for air pollution in cities. Given the EU’s goal of cutting greenhouse gas emissions from transport by 60 per cent below 1990 levels by 2050, it’s clear that immediate and drastic action is needed. The shift to low-emission transport systems as part of the overarching move to a low-emission economy can create new sustainable jobs and benefit society overall. While the EU recalibrates two of its most important tools for emission reduction, the emission-trading system and effort-sharing, the adoption of the communication on a ‘European strategy for low-emission mobility’. highlights the need for specific action in the transport sector. The Commission proposes action in three main areas approved and broadened by in December: transport system efficiency, low-emission and alternative energies in transport and a shift to low- and zero-emission vehicles. As ever, the difficulty is to establish a congruence between ambitious wording and actual policy action. This means assessing whether the Commission’s proposed legislation, mainly brought forward as part of the mobility package, can reach the goals we have set. For example, new CO2 targets for cars and vans (a proposed reduction of 15 per cent for 2025 and 30 per cent for 2030 compared to 2021 levels) are widely seen as disappointing; many hoped for a stronger signal to the automobile industry. The fights and discussions in Parliament will be long and hard. Ahead of the vote on the renewable energy directive, I have received hundreds of letters from concerned citizens asking for a phase-out of first generation biofuels. Many even oppose the Commission’s proposed lowering of the threshold within the renewable energy directive. Be it in the course of the long-awaited action on heavy duty vehicles, funding of green infrastructure or an ambitious shift from road to rail for long-distance commercial transport, the EU has yet to prove whether we can really proclaim ourselves climate champions. This is important, as action in aviation and shipping must be international to be effective. The S&D group will be a frontrunner in pushing ambitious and strong targets, a level playing field for different transport modes, a well-functioning and affordable public transport system while using digitalisation and automatization as drivers for the urgently-needed mobility revolution. In 1976, Lord Flowers pronounced that there should be no further commitment to nuclear energy unless it could be demonstrated that long-lived highly radioactive wastes could be safely contained for the indefinite future. Ever since, efforts to find a suitable site for a geological disposal facility have been rejected by communities (Wanted: community willing to host a highly radioactive waste dump in their district, 22 January). There is, therefore, little evidence to support the government’s claim that “it is satisfied that effective arrangements will exist to manage and dispose of the waste that will be produced from new nuclear power stations”. Deep disposal may be the eventual long-term solution but demonstrating a safety case, finding suitable geology and a willing community are tough challenges and likely to take a long time. The search for a disposal site diverts attention from the real solution for the foreseeable future, which is to ensure the safe and secure management of the unavoidable legacy wastes that have to be managed. It is perverse to compound the problem by a new-build programme that will result in vastly increased radioactivity from spent fuel and other highly radioactive wastes which will have to be stored indefinitely at vulnerable sites scattered around our coasts. A new-build programme would create an unmanageable and intolerable burden on communities into the far future. To suggest that a repository is the solution is in the realm of fantasy. • The fact that the UK government is still going ahead with plans to construct new power stations, generating even more toxic radioactive waste, troubles and puzzles me immensely. Here, on the beautiful isle of Anglesey, where tidal, solar and wind energy production are all highly feasible alternatives and could also provide opportunities for well-paid employment, politicians appear to be happy for an area of outstanding natural beauty to be contaminated for further than the foreseeable future, not to mention the immense eyesore that will occupy acres of fertile land. It is an eye-wateringly costly venture that many fear will expose taxpayers to huge financial risk and will also leave future generations guarding the threat to their environment and health long after it ceases to function. Future generations will doubtless wonder, when most of Europe is shutting down its nuclear power stations and not planning any more, why in the world the local population didn’t protest harder. A MAJOR Ross-shire employer’s plans to expand its fabrication yard on the Cromarty Firth is set to be given the green light. 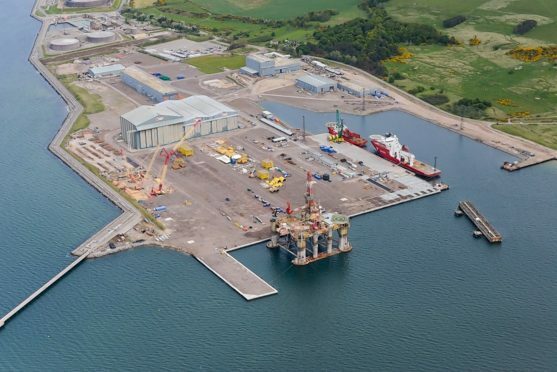 An application by Global Energy Nigg Ltd for the extension of an assembly shop at Nigg Energy Park to create a huge 179-metre blast and paint facility, has been recommended for approval when it goes before planners next week. 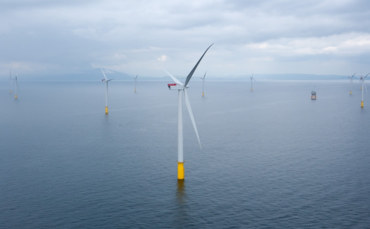 The proposals also include a smaller compressor building as use land for the storage of raw materials and fabricated products in connection with manufacturing for the offshore renewables sector. If approved, it will create at least 300 jobs and strengthen the port’s position as a leader in renewable energy. It will allow for 20,000 square metres of new floor space and is aimed at helping the firm win bids for offshore renewables fabrication work. The Nigg yard is a large scale industrial complex covering flat reclaimed land and comprises extensive fabrication, assembly and warehouse buildings. It also houses a graving dock and a quayside loading area for oil rigs and other vessels. It was used as major oil fabrication yard from the 1970s to the late 1990s. The yard lay virtually dormant until Global acquired it in 2011 and since then millions of pounds have been invested in the site. During that time the yard has won contracts for subsea fabrication for the oil and gas sector, and for the nuclear industry. Now, a report for Tuesday’s north planning applications committee has recommended that councillors approve the application. 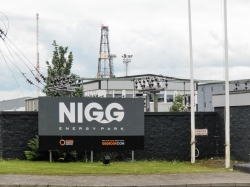 It said: "This proposal represents a significant and welcome investment in the continued expansion and provision of additional facilities at Nigg yard. "The proposal represents a major economic boost initially through the construction of the buildings but more importantly thereafter with the assembly and fabrication work at the yard through this investment. "The development is expected to create approximately 300 jobs within the local area through its initial operation, this could increase in future dependant on demand." 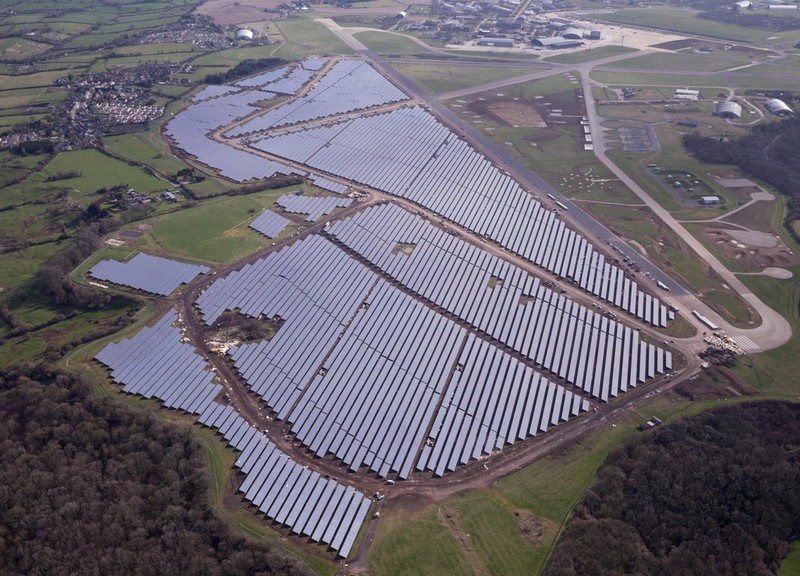 British Solar Renewables (BSR) is to sell electricity to Shell Energy Europe from the 69.8MW Bradenstoke photovoltaic plant in England. The agreement with Shell’s energy trading and marketing arm in Europe is for five years. BSR is asset manager and operator of the Bradenstoke plant, which is owned by Siem Europe SARL. It covers 86 hectares of land on former site of RAF Lyneham. 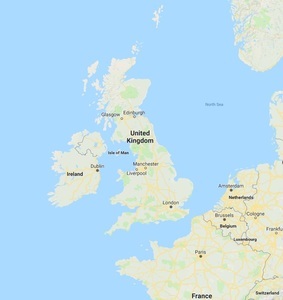 Shell will supply the power from Bradenstoke to customers in the UK seeking to meet their needs with renewable energy. Shell Energy Europe general manager North West Europe Jonathan McCloy said: “The UK is one of our key markets for power and we’ve been exploring ways to increase our power presence in the country on both the buy and sell side. Global Energy aims to expand the oil fabrication yard to enable it to deal with massive 100-metre steel towers for windfarms. The Inverness-based firm want to change the use of its land to manufacture and store fabricated products for the renewables sector. It also wants to construct a blast and paint base. Three-fifths of new cars should be electric by 2030 and new homes should be built to more energy-efficient standards, according to Government climate advisers. The report by the Committee on Climate Change is an update to the Government's "clean growth strategy" published last year, which called for a raft of measures including incentives for householders to install energy efficiency measures and speeding up tree-planting to create 70,000 hectares of new woodlands by 2025. Lord Deben, the committee's chairman, said housebuilders, car companies and oil and gas firms should "step up" to play more of a role in the shift to a cleaner economy. He said the strategy showed clean growth was now a "central part of the Government's economic policy". But he warned: "The Government's policies and proposals will need to be firmed up as a matter of urgency - and supplemented with additional measures if the UK is to deliver on its legal commitments and secure its position as an international climate change leader." He also said: "I think that the time has come for us to remind industry in many of these areas they have a real part to play. "If you're going to sell an electric car your dealers have to be very well aware, have got to understand these things, so training dealers is essential. "If you're running a big fossil fuel company, you have to start thinking about the realities of when, not if, because it is not if any longer, we use a lot less fossil fuels." Oil and gas businesses should be investing more in technology to capture and store carbon emissions from power plants and industry, without which the cost of cutting greenhouse gases from the economy will be more expensive, the committee said. Lord Deben also criticised construction firms for only doing the "absolute minimum" required on building energy efficient homes, saying the "people who suffer" from homes that are not properly insulated are the buyers who have to pay higher energy bills. The Government should also tighten standards for new-build and rented properties, the committee said. On vehicles, ministers have ambitions for 30% to 70% of new cars to be ultra-low emissions by 2030, as well as up to 40% of new van sales, as part of efforts to phase out sales of conventional petrol and diesel cars and vans by 2040. Currently less than 5% of new car sales are "alternatively fuelled", which also includes hybrid models. The Climate Change Committee said that by the end of the next decade, 60% of new cars and vans should be ultra low emissions, most of which will be electric. Grants for electric vehicles are still needed until they are the same price, and tougher emissions standards for conventional cars than the EU has in place should be brought in, the committee said. Lord Deben also said drivers should be given the assurance about being able to "fill up" their electric vehicles, not only by rolling out a network of charging points but ensuring people know how and where to charge up. A spokesman for the Department for Business said: "The UK has reduced emissions on a per person basis faster than any other G7 nation, and our Clean Growth Strategy is the next ambitious milestone in our work to decarbonise the UK, but we have always said it is only the start of a process. "Our proposals will continue to evolve whether in response to costs of renewable energy coming down, improved evidence about climate change, wider trends in technology or the economic opportunities delivered through our Industrial Strategy."